After seven years, four murders and US$24 million in total legal costs, in October 2016, a little-known World Bank tribunal trashed OceanaGold’s claim that El Salvador either owed it a mining permit for a proposed gold mine or US$250 million dollars. The Washington D.C.-based International Centre for Settlement of Investment Disputes (ICSID) panel decided that OceanaGold’s predecessor Pacific Rim Mining never met the legal requirements under El Salvador’s mining law to obtain a permit to exploit gold and must pay the Central American country US$8 million towards its legal costs. Vancouver-based Pacific Rim Mining first announced its intention to sue in April 2009, after outgoing Salvadoran President Saca declared that he would not issue any new mine permits until a strategic environmental assessment could be undertaken to assess the viability of mining in the country, the most densely populated in all of Latin America and largely dependent on a single watershed. When Pacific Rim nearly went bankrupt in late 2013, the Canadian-Australian firm OceanaGold paid just C$10 million to pick up the company and its principal asset: the suit against El Salvador, which it persisted in fighting. The suit has exacted an enormous cost on human life and sovereignty over environmental policy making in the country. So rather than signify a win for the state, this case illustrates why Investor State Dispute Settlement (“ISDS”) – enshrined in over 3,000 investor protection agreements today – is such a huge threat to peoples’ self-determination, health, and the environment in El Salvador, Canada and around the world. While the recent tribunal decision lifts a tremendous burden off the Salvadoran people, the battle to get the company to pay up and pack up is not over. Pacific Rim Mining first obtained concessions to explore for gold and silver in the northern department of Cabañas, El Salvador in 2002 and submitted applications for an environmental and exploitation permits in 2004. By this time, local communities were already put off. Early impacts on local water supplies and the arrogance with which the company addressed local landowners led residents to ask more questions about the long-term implications of gold mining, and to refuse to sell land to the company. Local organizations and residents educated themselves about the social and environmental impacts of gold mining through visits to mining-affected communities in neighbouring Guatemala and Honduras and by gathering expert opinion on the company’s environmental assessment. Based on their experiences and the information they found, local opposition emerged and quickly gave rise to a national movement against metallic mining in El Salvador. Even the head of the Catholic Church joined local communities and organizations from Cabañas and the capital in calling for a stop to the project. In 2008, the University of Central America released its first public opinion poll on the subject, showing that 62.4% of the population in the affected areas opposed metal mining. From 2008 to 2009, both outgoing and incoming Salvadoran presidents publicly committed to not permit any mining projects during their administrations. Meanwhile, national level organizations pressured for a prohibition on any industrial metal mining in the the country, given its already stressed water supplies, vulnerability to climate change and population density. Faced with strong and growing opposition to its project, Pacific Rim could not meet regulatory requirements to obtain the permits it needed to put its proposed El Dorado project into operation. Not only was its environmental permit never approved, but it did not present the required feasibility study, nor could it demonstrate that it either owned or had land-owner consent to operate in the 12.75 km2 area for which it was requesting an exploitation permit. This latter failing – setting aside everything else that is legally, morally and environmentally wrong with Pacific Rim’s presence in Cabañas – is at the core of the recent ICSID panel decision. It is important to note that ICSID panels have no obligation to take into consideration matters related to the water and land that local communities rely on, threats and violence that arose from the conflict and divisions that this project generated, or the sovereign right of peoples to decide what is best for their wellbeing and environment. In fact, the tribunal dismissed without consideration the “amicus curiae” intervention that a number of Salvadoran organizations presented with the help of the Center for International Environmental Law (CIEL) that laid out their experiences with the company in this regard. Rather, the panel’s decision is very narrowly focused on the technicalities of El Salvador’s mining law and the state’s behaviour, to determine whether or not the state owed the company a mining permit. In laying out the evidence, the most interesting aspect of the three arbiters’ deliberations is the detailed description of Pacific Rim’s singular strategy at the state level to try to reform El Salvador’s mining law to loosen regulatory requirements and enable its project to go forward. In 2005, as the panel’s documentation makes clear, the company knew very well that it did not – and could not – demonstrate land ownership or landowner consent within 100% of the area for the mining concession it was requesting. The documentation also reveals that the company knew, well before President Saca made his first public promise in 2008 not to issue any mining permits, that the government was considering a moratorium on mining in response to public demands for a prohibition on all metal mining. However, the ICSID panel did not consider the fact that Pacific Rim’s aggressive strategy to enact law reforms at the national level was accompanied by public relations activities in Cabañas that generated conflict, aggravated divisions and raised the stakes around current and potential economic benefits from mining. These could only have contributed to threats and violence against community organizations and people in the community who opposed the project. The tension and discord that its local campaign created culminated in violence just months after Pacific Rim announced its intention to sue El Salvador before the Washington tribunal. 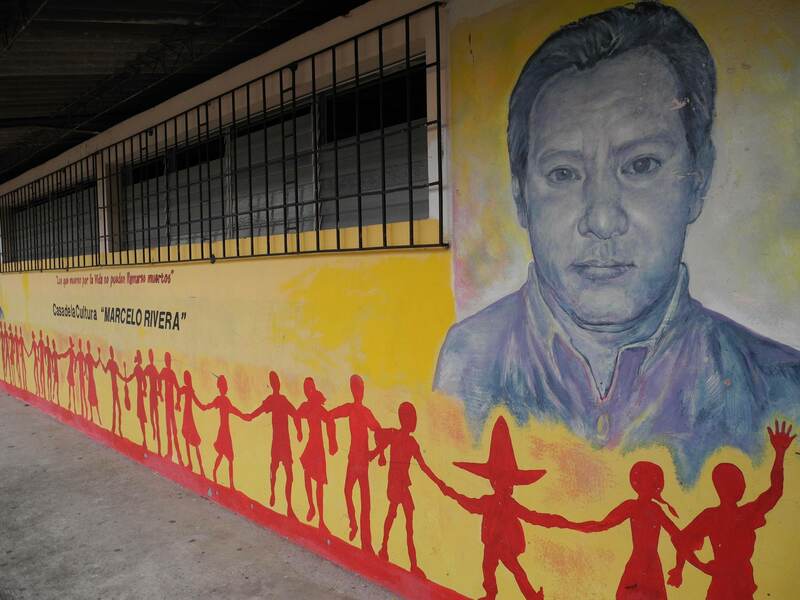 In June 2009, community leader and outspoken opponent to the El Dorado mine, Marcelo Rivera, was tortured and killed. Six months later, Ramiro Rivera Gómez from the Cabañas Environmental Committee and community activist Dora Alicia Recintos Sorto, eight months pregnant, were murdered. Then, in June 2011, Juan Francisco Durán Ayala, also from the Cabañas Environmental Committee, was killed. Meanwhile, various organizations received numerous threats throughout the years. While the murders have never been fully investigated, the Salvadoran Human Rights Ombudsman’s office has attributed them to the work these community activists were involved in to protect the environment. The escalation of social division and violence, the time and effort that the Salvadoran government has had to dedicate to its legal defence, and the chill effect on efforts to get a ban on metal mining in El Salvador during the last seven years are the real price that Salvadorans have already paid for this suit. In OceanaGold’s response to the ICSID tribunal’s recent decision, the company commented that it would evaluate its options and described the suit as something that it had “inherited”. But in the same way that Pacific Rim long knew that it did not meet legal requirements to mine in El Salvador, OceanaGold has known full well since it bought Pacific Rim that the suit was the only thing the company had going. Pacific Rim did not have any permits to mine or to explore anymore. It did, however, have a foundation – the El Dorado Foundation – registered in its name. Contrary to balking over the suit, OceanaGold unapologetically persisted with it, while trying unsuccessfully to get a negotiated agreement with the government. Concurrently, since 2014, it reactivated the El Dorado Foundation and renamed the company’s exploration company after El Salvador’s national bird, the torogoz (turquoise-browed motmot). Its local public relations strategy is perceived locally as just as disrespectful and potentially dangerous as its predecessor’s approach. Now that the ICSID tribunal has made a clear decision in this case, it is high time for OceanaGold to pay up and pack up. Indications are, however, that this will require yet another fight. Already, the company is stepping up its public relations campaign in El Salvador to try to convince the population of “responsible mining”. But it fails to recognize that the only responsible route is to leave the country and respect the clear ‘no’ to metal mining that Salvadorans have repeatedly expressed, despite the serious risks they face in doing so. In Canada, we will need to keep up the solidarity with the brave Salvadoran fight to protect water and land from mining, and take courage from their efforts to stand up against current and new trade and investment agreements that enable this sort of corporate bullying. This article was published in the Winter 2017 edition of Canadian Dimension. Find out how to buy an issue or subscribe to the magazine here.